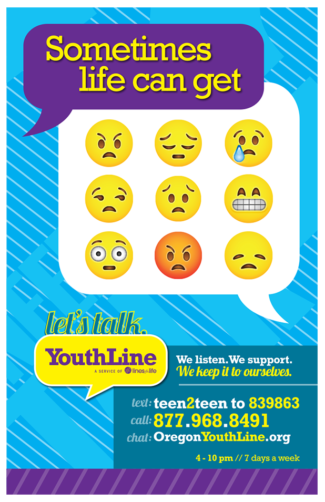 YouthLine is a free and confidential 24-hour teen-to-teen crisis, counseling, and referral line for youth. 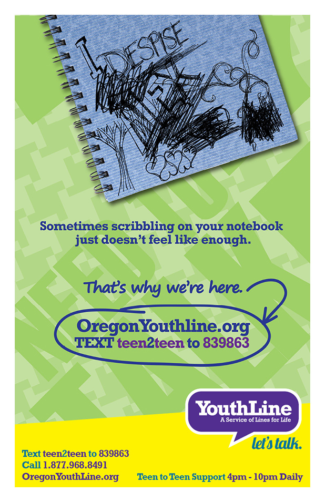 A great addition to office space, clinics, and classrooms, school hallways and bathroom stalls. 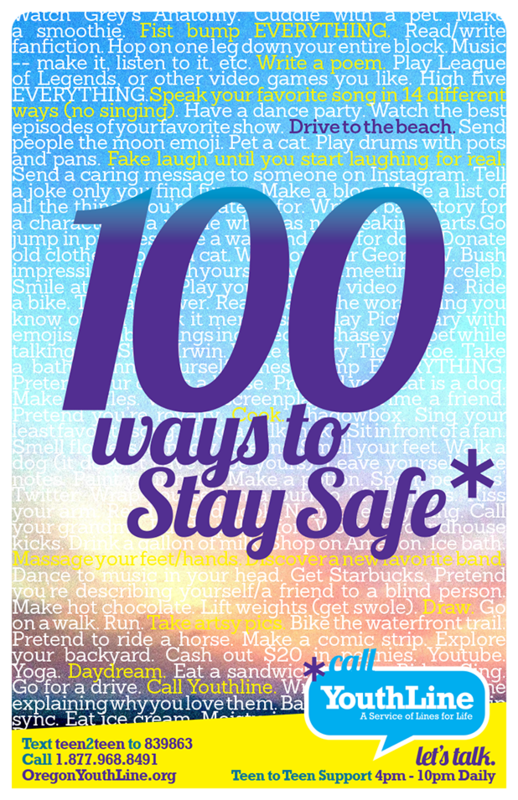 Each poster is printed on high quality 11×17 stock.